Platform height affects ease of boarding; raised platforms enable easier, more accessible passenger boarding and alighting by decreasing step-down distance and gap between vehicle floor and platform. Level and near-level platform stops can also increase route efficiency, allowing vehicles to enter and exit stops more quickly. At sidewalk/curb level stops, passengers board from the sidewalk or curb level, often 4–6 inches. Sidewalk/curb level boarding is commonly an “unimproved” condition, though it may be preferred where there is inadequate space to provide accessible slopes and ramps onto a higher platform. Curb level boarding may be applied with boarding bulbs and, conditionally, with side boarding islands. Platform edge or boarding positions should be indicated using markings or detectable warning strips. At street level stops, passengers board and alight directly from the street level. Applicable as a design condition on shared streets. 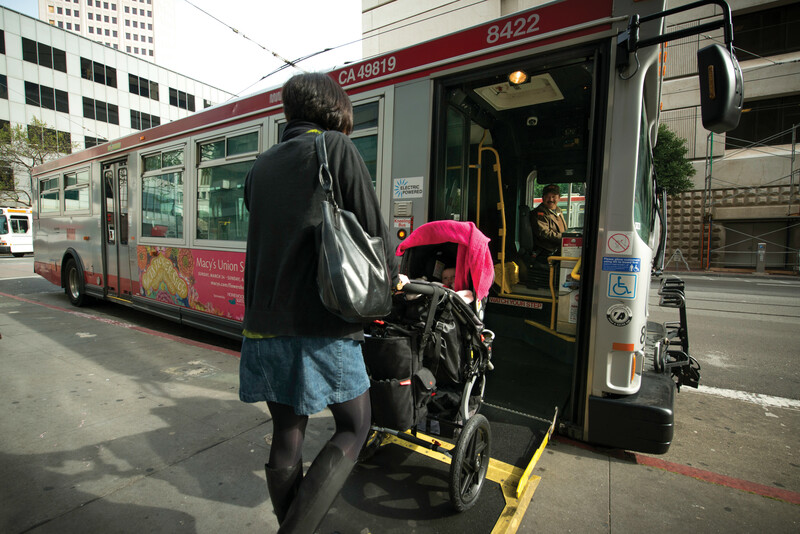 Platforms should be provided for at least one door unless full-length ramps can be provided to street level. May emerge as an unplanned condition when operators have difficulty pulling to the curb. 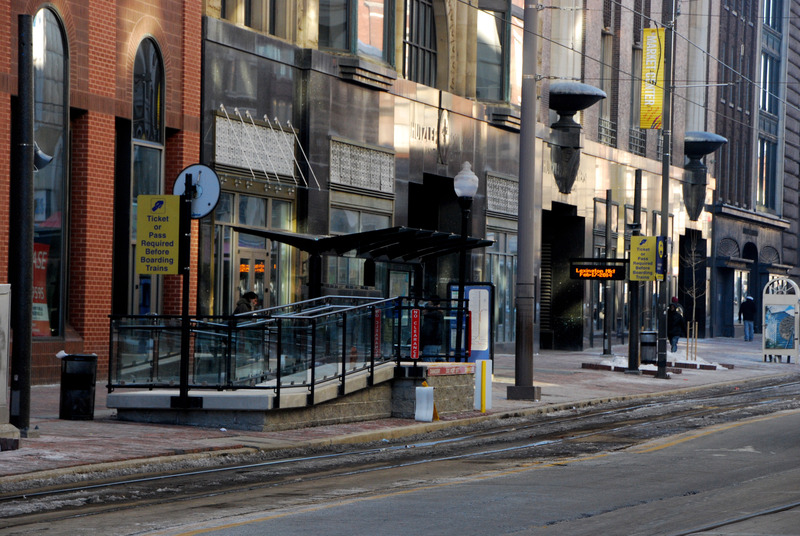 Street-level boarding is an existing condition at some rail stops. The higher step for each passenger to board results in a longer cumulative boarding time. Near-level platforms place the curb height at 8–11 inches. Near-level platforms allow faster boarding, and are compatible with most existing transit fleets. Allows an operator to either kneel the bus or deploy a short bridge plate or ramp. Short bridge plates, often used on streetcars, require far less space than a full-height bus ramp. Bridge plates rising less than 3 inches require 1:4 max slope, or 12 inches of length for 3 inches of rise. For 3–6 inches of rise, 1:6 max slope is required, and 1:8 max slope is regulated for 6–9 inches, increasing the length required up to 72 inches for a 9-inch rise. Shorter rises allow more compact ramp deployment. 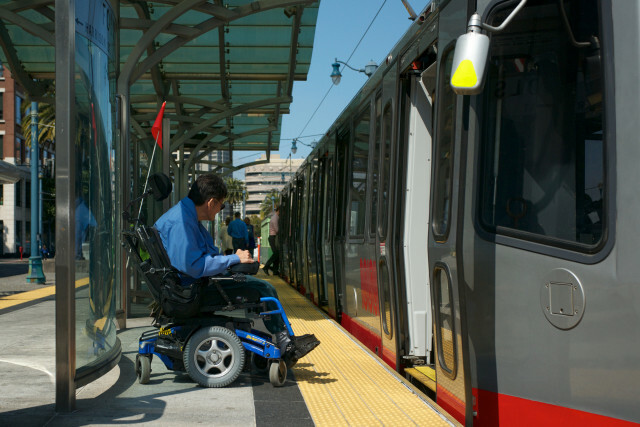 “Part 38—Accessibility Specifications for Transportation Vehicles.” ADA Accessibility Specifications. Federal Transit Adminstration, Washington, DC: 2007. Near-level platforms are suitable for side and center boarding islands, boarding bulbs, or sidewalk stops with sufficient width to provide a raised area. Provide ADA-compliant ramps to achieve desired height leading to the boarding pad. Ramps should not impede pedestrian paths or crossings [49 CFR §38.23(c), §38.83(c)]. Detectable warning strips must be installed along the edge of the boarding platform, except when part of an existing sidewalk. 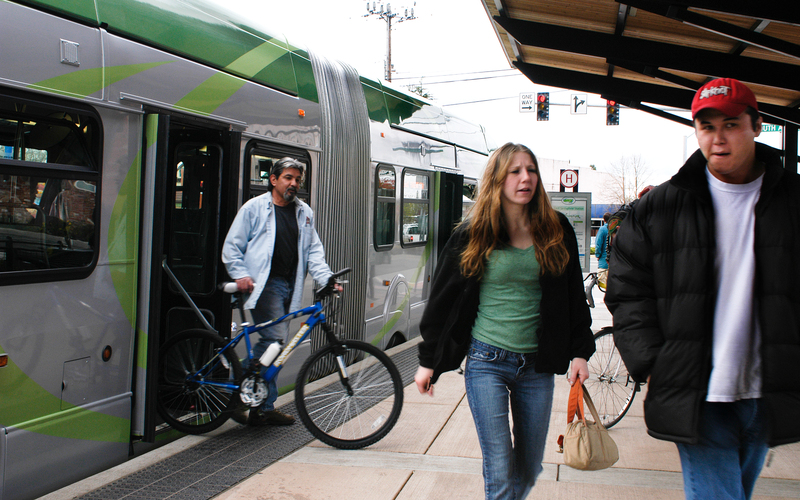 With level boarding, the platform height matches the floor height of transit vehicles (for on-street low-floor vehicles, typically 12–14 inches). 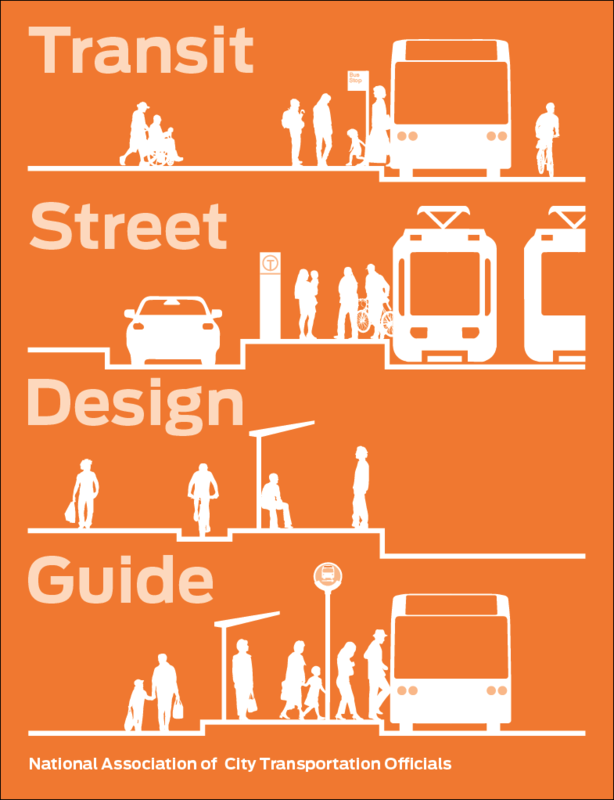 Can apply to light rail, streetcar, or retrofitted low-floor buses. In Seattle buses were retrofitted with larger tires to reach a 14-inch level-boarding platform shared with light rail. Kantor, David, Gregg Moscoe, and Cliff Henke. Issues and Technologies in Level Boarding Strategies for BRT. Journal of Public Transportation, 2006 BRT Special Edition. Tampa, FL: 2006. Many agencies have transit vehicles that are incompatible with level boarding platforms: some vehicle design geometry may prevent them from pulling to the curb. 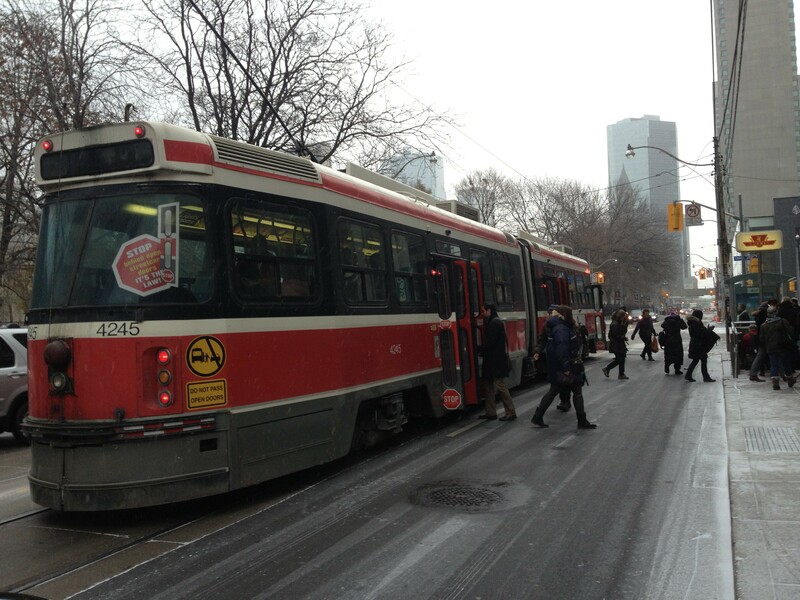 Transit vehicles must be able to pull in very close to the curb to eliminate the gap (see Transit Curbs). Ramps are not deployed and vehicles do not kneel, reducing delay and adding convenience. Detectable warning strips or another detectable surface must be installed along the edge of the boarding platform. The “Mini-High” platform is used as a retrofit for older streetcars and buses with high-floor boarding, using a small platform and ramp to permit accessible boarding to select vehicle doors. Passengers requiring accessible boarding must board using the mini-high platform. Railings and fall protection are required for the entire ramp length and top landing. Handrails must be provided on any ramp rising greater than 6 inches, and ramps may not rise greater than 30 inches. For ramps to doors more than 30 inches above curb level, a landing and turn is required for each 30 inches of rise. “Ch. 405.8: Transportation Facilities.” 2010 ADA Standards for Accessible Design. US Access Board, United States Department of Justice, Washington, DC (2010). Vehicle operators may have to service the ramp separately, or may have to deploy additional on-board ramps to give access, causing delay. Detectable warning strips must be installed along the edge of the boarding platform. References for Platform Height: 2 found. Kantor, David, Gregg Moscoe, and Cliff Henke. "Issues and Technologies in Level Boarding Strategies for BRT." Journal of Public Transportation, 2006 BRT Special Edition, USF Center for Urban Transportation Research, Tampa.